The D, regular real estate, and funding another project!! I was born and raised in Chicago. I love Chicago. I think Chicago is the best city in the United States. 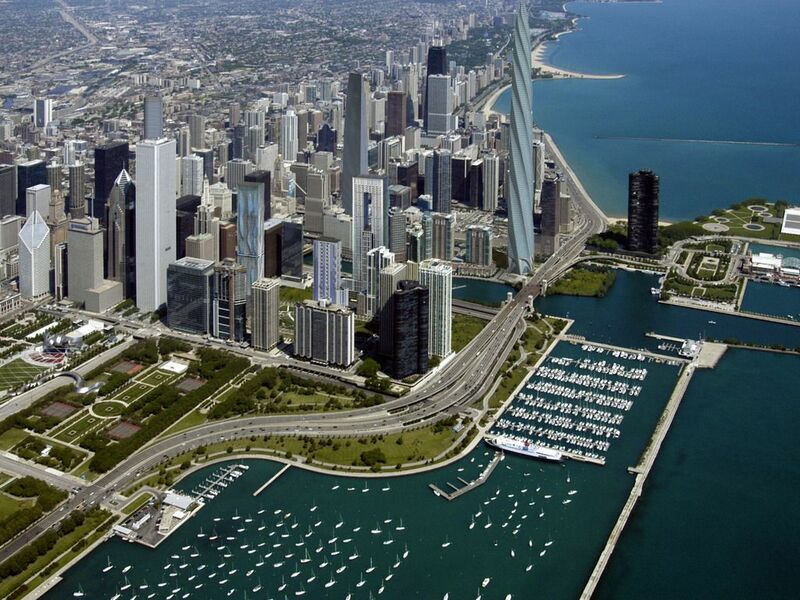 If you attack Chicago, the Sears Tower, Wrigley Field, or Chicago-style hotdogs, I will defend them vehemently. I’m biased for sure but, the only city that I think is in Chicago’s league is New York City, which is arguably the capital of the world. Maybe if I lived in NYC, I’d have a different opinion, but it’s a little too hectic for this mid-western kid – and Chicago is a way better sports town. I never thought I would leave Chicago. I’m still not all that happy about it. Detroit is not comparable to Chicago – the city officials have screwed pretty much everything in the city limits. In fact, I have heard the city is so broke, that they only have one city planner. And, they can’t afford to pay that person five days a week! The downtown consists of only 10 relatively safe blocks centered around Comerica Park and Ford Field. But……..I like the Detroit. It’s a good city. Civic pride in Detroit is very high and I really respect that. 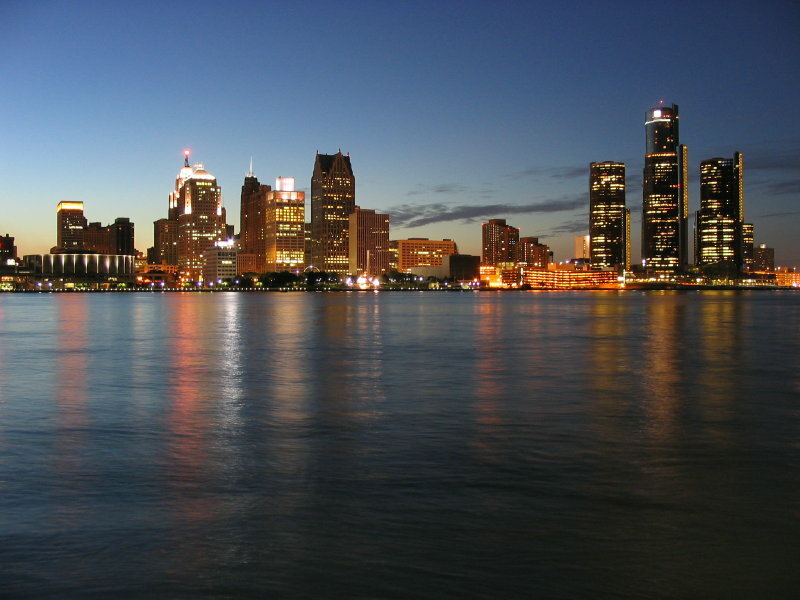 Detroiters will definitely talk bad about Detroit, don’t get me wrong, but in a way you might talk about your family, but only you are allowed to say it – no outsiders. It’s a blue collar town and people get behind that. If you say your from Detroit, itmeans you are a tough cookie. There is nothing soft about Detroit. They have pretty good sports teams, and their stupid square pizza is growing on me. Their suburbs are just like anywhere else, with the possible exception of pretty crappy food choices, except they also have amazing lakes and great outdoor activities. The golf is world class, the boating/fishing is world class, and Michigan, as a state, has to be one of the most beautiful. I think a Michigan city even won the award for most beautiful place in the country – somewhere on the west side of the state. If I had one critique about Detroit- it would be that the state is racist as hell – working both ways. Someone told me that Detroit is the most segregated city in the United States. I’m not sure if that’s true, but it’s crazy segregated. I hear racist words and phrases all the time. In Chicago, if someone says a racial slur in a public place it would scratch the record player. Not that it doesn’t happen, but its rare and generally frowned upon. In Detroit however, people don’t even blink. It’s like a deep south city, up in the north. I don’t have some grand point about racism or anything like that, just that it surprised me at first, and I wish it wasn’t like that. Here’s an anecdote about race in Detroit. There is a road named Alter Rd. It divides the city limits of Detroit, from Grosse Pointe. At one time, Grosse Pointe had the highest per capita income of any city in the country. It’s where the Fords lived, an lots of rich auto-makers, old money at it’s finest. In fact, Grosse Pointe gets used as an adjective – meaning “uppity” or a “Grosse Pointer” meaning a rich/snobbish person. The crazy thing is that if you cross Alter Rd. you go from champagne glasses and strawberries, to the ghetto. Twenty yards from rich to ghetto. There is a gas station on Alter Rd, that I would definitely not fill up at because you might get car-jacked. But if you cross the street, you are very safe. Alter Rd is a great metaphor for race relations in Detroit. “Although Alter Road itself is completely within the Detroit city limits, nevertheless it is a symbolic dividing line between the overwhelmingly Black City of Detroit and the likewise overwhelmingly Caucasian City of Grosse Pointe Park. On to some regular real estate. I finally sold 30206 Champine. After all the fees, I walked out of the closing with just under $104,000. I was all-in for $80,000, so I netted $24,000 on my first flip. Not bad, but trying to get that house closed was a total nightmare. It ended up taking over 7 months and was under contract four times. We ran into every possible road snag, from buyers dying, to bad lenders, to inspection problems, etc. Still, that’s a really nice rate of return and easy money. I am trying to sell 20901 Hawthorne now instead of renting it, because I am just trying to get more liquid. The delinquent note stuff is going pretty well and I think my highest returns are going to come from that arena – in essence I am just trading one ROI for a hopefully higher ROI. I will sell it for $43,000. 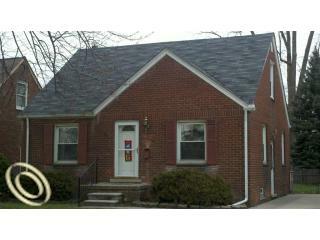 I think it would rent for $900-$1000 and it is in Grosse Pointe Schools. I’ve had offers at $41,000 and $40,000 from fellow investors. If someone wants to buy it, let me know. I’ll even find you a renter. I’d rather to sell it to a blog reader, but either way it will be gone really soon. All the other rentals and land contracts are going well – no interesting news to report on that front. I have put an offer in on another potential flip, where I know the listing broker of the foreclosed property and put in a lowball offer – so we will see if that sticks with the bank. Outside of that, the big news is that it looks like we will be funding the 1.5 million for our next delinquent project as long as the lawyers iron out the details. This is a really good deal and a very important one for our company New Hope Financial. I can’t really believe how fast things are taking off, and I’m really excited about the opportunities to make money for my investors, and of course myself. I love the work I do – it’s challenging, interesting, and lucrative. I really owe a lot to this blog and to the readers, I never new the people I would meet and the places this blog would take me! Lastly, I am working on ways to talk more about the delinquent note project, but I have to clear some stuff with my partners first – but hopefully in the future, I can talk about the bad-debt aspect of real estate. It kills me that I can’t be as forthright with the delinquent notes as everything else. Thanks for reading guys!